Showing results for tags 'rb25det'. Anyone still making custom oil pans and pickups for rb25/26 engines?? I've tried contacting pat1 but no response for months. The slippery slope, or, "while I'm in there". I think that accurately describes how i approach most projects. I begin with one intention, over think it, and something entirely different, overly complicated and overly priced is spit out the other end. Oh well, schedule and budget be damned, here we go. Not a lot of clean, rust-free (a lie if anyone ever claims this) S30's up in the PNW. Rust doesn't scare me. Complete rot does. I needed a solid base to start off on. I like finding complete, or near complete cars to base off of. Half torn apart cars with mismatched everything, half-bodged up jobs, and monkey wiring drive me nuts. I hate un-funking some others misguided efforts. I laugh while i type this, as you'll see from the body work I started to uncover when i brought this 1977 home. I went to check out this 2 owner local datsun. It's a complete car, down to working radio and an uncracked dash. I wouldn't say i was after a 100% original car, because i had plans to butcher it up to make it my own. I just liked seeing all the parts there for me to work with. The previous owner had it repainted this awful color. It didn't turn me away completely, i knew it would need to be painted to my liking, but it's the horrors underneath that began to rear up. Time to get cutting and welding. No metal to be found, and yes, that's just silicone and body filler holding the dogleg together. Making metal where none exists. The worst of the structural. And just minor surface rust, no major rot on the floors or in the frame (so far!) Ok so at this point in the story, time for some claims about where this is going. I document it now because i know i will deviate (already have) from the "plan". Initially i wanted to fix the rust, drive it and enjoy while I upgrade. Eventually swap something healthier in. Part of me really wants to tear it all down and blast it, but then we're looking at a whole different level of project than I initially wanted. That would take it down for long enough that i might lose the passion, and ultimately abandoned in a corner of a shop. I've seen so many craigslist projects that end up with that sad fate. Well, the rust repair is underway, and I'm already considering how much effort i want to put in to tackle the rust I can find, only to throw a half assed paint job over the top of it. I have to convince myself to work in phases. And since it's winter, it's unlikely i'll be driving it a whole lot anyways. A project keeps me busy, and out of trouble. More updates to follow. 280z RB25DET Before the Swap - What can I Throw Away? 1973 Datsun 240Z Silver exterior, black interior RBR 17x8 and 17x9 wheels 245s up front, 275s in rear Wheels and tires are new Blended fender flares Sparco steering wheel (factory wheel also included) ~76,840 miles, and I believe the mileage is accurate. I've driven less than 300 miles since owning it. 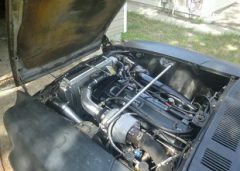 Engine is the factory 2.4L but has been modified (original owner is deceased and details are unknown). The car does run, but not well. It shows low compression on cyl 3 and 6, likely from stuck rings. I purchased a good 2.8L motor from a friends '78 to swap in to make the car run while the original engine is repaired, but haven't gotten to it. The 2.8L engine will also be included with the sale. The factory 4-speed trans is still in place. My long term goal was to swap in an RB25DET engine. I bought the engine/trans set up and a million things to go with that swap, but never got started. The interior is in excellent condition. Seats, dash, doors and headliner are nearly flawless. The exterior is similar. I have a hard time calling even a brand new car "perfect", but the paint is overall in great shape with only a few blemishes. Overall the car is a real looker (at least I think so). The engine just needs some TLC to get her running strong again. Non-smoker, always garaged at my home and stored under the car cover. Clean Texas title $10,000 obo I will also make the laundry list of RB25DET swap parts available to the buyer (if interested) with the car before listing them separately. So I'm having trouble picking out which conversion kit for my z but I'm stuck between two kits can someone who has done the setup suggest which kit I should get. And if anyone has used the cxracing conversion kit give me feedback on it thanks. 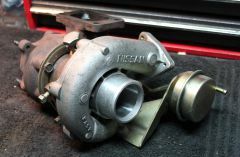 Like the title says Q45 throttle body with TPS and pig tails $180 shipped. Hey everybody. I have picked up a rb20det engine for my 71 240z which currently has the stock l24. I've been researching and planning the swap for years but still unsure about the fuel system for my carb conversion to efi. I know I have to upgrade the lines with 3/8 size return/feed lines and add an inline walbro fuel pump. I understand that i have the following options correct me if I'm wrong: !. Modify stock 240z fuel tank with a sump. 2. Replace stock tank with a 280z tank. 3. Keep stock tank but add a surge tank in the system. Which is what you guys are currently running in your setups or recommend? This car will be a weekend street car with a hp goal of 300. PS. Will I need to modify my driveshaft? I been searching and searching for a while but still unsure thank you in advance! So now that I am pretty sure I know how to use the website, I will give this one last attempt. Sorry for the spam I may have caused by trying to post a new topic from my phone. I now will only be using my computer to post lol. I just picked up my Rb25det series 2 for my 240z build. I want to upgrade the turbo and I want a top mount set up. My goal is around 350-400 whp. I want to use the garrett gt3076r turbo, but am open to other suggestions. My main issue is trying to find a decent turbo manifold to use. I DO NOT want to use an ebay manifold like the Cxracing manifold because I have heard bad reviews. (I would like good reviews if people have had experience using them however) I know that the strut tower causes some issues as well. Any suggestions for working around that? I would ideally like to spend around $1000 for a decent top mount manifold. Is going with a custom one the best route? or can anyone explain to me what setup you are using? I have tried searching, but can't seem to find exactly what I am looking for. Thanks in advance!! So I figured I better get this thread started or it will never get done.. so HERE IT GOES! Last October I got deployed and the whole time while I was playing in the sandbox, I was pondering of what I was going to spend my money on. At first I thought I might just do an engine swap in my Subaru Forester and make it a quick little Forester STI but after searching all of craigslist for donor cars and ideas, I laid eyes on what has always been one of my dream cars... a Datsun Roadster. Unfortunately, the owner of said vehicle never responded to my calls or emails but I was determined that my next project was going to be a Datsun and so I set out to find my diamond in the rough... This is what I found!!! A 1977 280z on Craigslist which I managed to pick up for a steal at only $4850! The previous owner bought it and had the intention of dropping a RB25det in it and restoring her, but being that he was military, he got orders over to Germany and decided to sell it instead of finishing what he started (great for me). Included in with the deal was a great deal of parts including: 1st gen RB25det engine RB25 transmission converted oil pan converted oil pickup radiator Mckinney engine and trans mounts NEW Wiring Specialties conversion wiring harness RB25det ECU intercooler and piping 2 ton engine hoist spare intercooler stock wiring harness miscellaneous stock parts full unknown fiberglass body kit 2 sets of bumpers original NISSAN 77' service manual original NISSAN fuel injection manual full original interior First thing I want to do is get the car cleaned up and ready for the new power-plant. luckily, the previous owner had the same idea and he had already cleaned up most of the engine bay. Unfortunately, he also laid down some undercoating in the engine bay which I want to remove and spray with some rust preventative and smooth it out some more. As for the engine, I have already started to remove and label most of the external components so I can clean, inspect, and upgrade. I currently have a Greddy style intake, and lighter exhaust manifold on the way. both of which will be powder coated. OH! and look what I found in the glove box! a mint condition original shift knob, anyone need one? Alright I just want to start by saying that I'm still very new in learning about the S30(Datsun 280Z). I've been reading up on this car and things about it as much as I can. 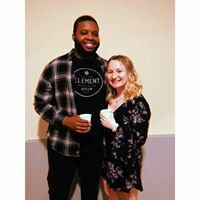 With that being said I need help and will continue to look for answers(searching) apart from this thread. Not sure where to start and looking for advice. I think with everything I have in mind not looking at all the prices yet. The budget for my car that i plan to keep until I'm old and senile would probably be closer to the $20k-$30k. Unexpected problems/costs. I will be getting the car this Sunday the 17th of August. what I think is the proper way in going about this build would be first to strip down to the bare frame and doors and hood and get it sent off to be sand blasted or media blasted whichever is better. Not sure on that. Second would be to get camber plates welded in so handling is a little better. Next I assume would be to get some sort of roll cage put in. Need more info on cages before deciding to do it before getting painted. Next steps I'm not to sure on... I want to do an RB25det or RB26dett depending on a few things. One how much money would it be to find one. found an RB25 for 1200 with ecu wiring transmission on CL(no RB26 on CL). Two would be how well would the engine sit in the bay? Would it throw off the distribution of weight very badly? Is there something I'm missing? I know I would need to get custom engine mounts made. Should I build the engine how I want(400-450whp) before dropping it in the car or build it once its in the car? I know theses can handle up in to the 600hp range without any internal mods. With building an engine comes with fuel upgrades that I will have to read up on. I'm not too sure what to do as far as transmission goes because I want one that can handle the 400-450whp without breaking synchros very much or case flexing. I've thought about going automatic but I enjoy driving manual too much to do that. I know I'm missing information on other key things like a differential and stuff but this is all I know for now... I plan on upgrading some of the electronics like gauges and audio not to familiar with it really but I will be I want to build and do as much as I can on my own or with help. I do want to keep the original gauges and get some extra gauges in there. I also plan on replacing the speakers and running a Subwoofer with two amps one for the door speakers and tweeters and one solo for the Sub that will be mounted into the back sort of molded into the car not really in a box. I will be upgrading the seats so that I will have some sort of seat harness so i Dont fly if I ever wreck it(and rebuild). I want to get the AZC brake setup looks nice read awesome reviews and not many people have done rebuilds on them. I want to lastly want the floor to be carpeted and leather doors. I know I don't have all the information and have never built a car and I apologize if this thread upsets some people "just look up everything yourself its out there" I want someone else s ideas besides mine so I can learn and see what others think. I'm building this car like this because if I can do this and finish then I'm going to into this field of customization. Found some free time this weekend, so decided to put the motor in my Z. Here are some pics, not quite there but the the heavy work is done. Just to forewarn anyone out there that is tempted by CXracing's "deals". I will share my recent experience with this worthless excuse of a company. First off, I will start with a bit of my backround in the automotive world... I have been building custom cars and motorcycles for over 25 years. I am far from new to the fabricating/aftermarket performance scene. I have a lot of experience buying and selling performance parts. I even ran a shop for a few years where I was in charge of ordering from and setting up accounts with aftermarket vendors. My 260Z is my baby and sometimes, when money is short but the desire is there, I have gone cheap but not without doing a little research first. I checked out CXracing and even bought a surge tank and an intercooler from them to check their quality. I have heard that all they sell is Chinese garbage and until my most recent purchase, I didn't have any complaints. I've owned my 260z for 15 years and I have done a great deal of custom work and upgrades to her. I performed my RB25DET swap over a year ago and I have been daily driving it ever since. I was a little disappointed by the dyno results so I decided to shoot for more HP. I ordered CXracing's RB25DET S30 turbo kit minus the mounts/intercooler since my car was already set up and I requested to swap the GT35 for their GT3071R. This is what I should have received... GT3071r ball bearing turbo with oil feed/drain lines, oil fittings, coolant fittings, 4 bolt to v-band adapter, manifold w/welded wastegate flange, 3" downpipe, and a 38mm wastegate. What I received was a GT3071r turbo with severe shaft play (the wheel hits the compressor housing), 24" feed line that won't fit unless it is routed in between and resting on the header tubes, incorrect oil feed and drain fittings (They sent me gt35 fittings not the gt3071r), the drain hose was correct but it's hard to screw that up, no coolant fittings/lines at all, no 4 bolt to v-band adapter, no wastegate flange welded to the manifold, 3" downpipe that wasn't even close to fitting (if my engine was 9" lower and 5" more towards the radiator it would work but that's impossible) and a 38mm wastegate that was so large the v-band clamp at the back of the turbo hits the vacuum port on the wastegate (after I had the flange welded on, of course). From what I have witnessed, the quality control department over at CXRacing doesn't exist and obviously the knowledge of what they are selling is lacking as well. If someone would have taken an extra 30 seconds to check what was going with what for my application, I wouldn't be writing this. Actually, if someone would have contacted me back after I left multiple messages (weeks ago) regarding these issues, I wouldn't have wrote this. The day I received the package I left messages with their sales department, tech department, my sales person and Kevin (I was told he was the man in charge) with absolutely no response from anyone. The guys at CXracing will answer all of your questions and help you any way they can until you pay them. Once they get your money, you can say goodbye to any service. Basically, they will take your money and send you some parts that might or might not work on your car. What doesn't work or was left out of the box, you are responsible for replacing. They do not stand behind what they sell unless there is a possibility of negative feedback on Ebay and that will only last until the feedback window is closed. I learned the "you get what you pay for" lesson years and years ago. I decided to give them a shot because of a recommendation from someone I know. Of course, they only bought an intercooler. I am hoping that no one else here or anywhere else makes the mistake of buying from this company. How does the RB25 trans fit in a 280z?